It’s official! 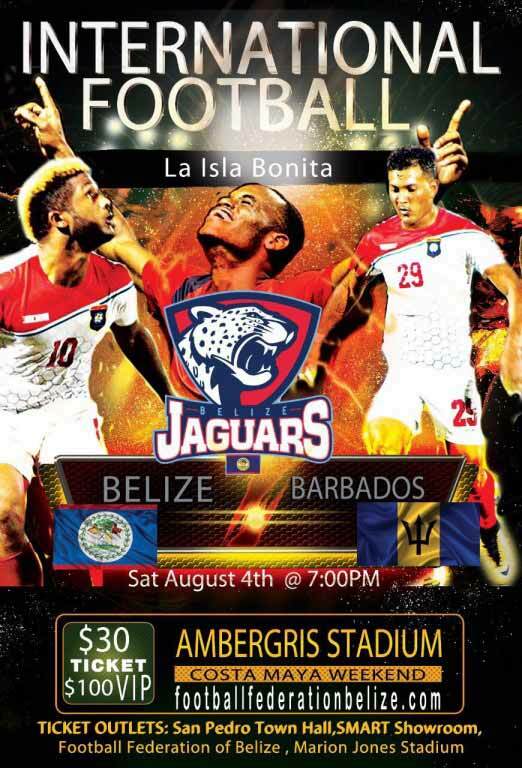 An international friendly football match between Belize and Barbados is scheduled to take place at Ambergris Stadium in San Pedro Town on Saturday, August 4th. The friendly match is aimed at preparing the teams for the upcoming Confederation of North, Central American and Caribbean Association Football (CONCACAF) tournament. 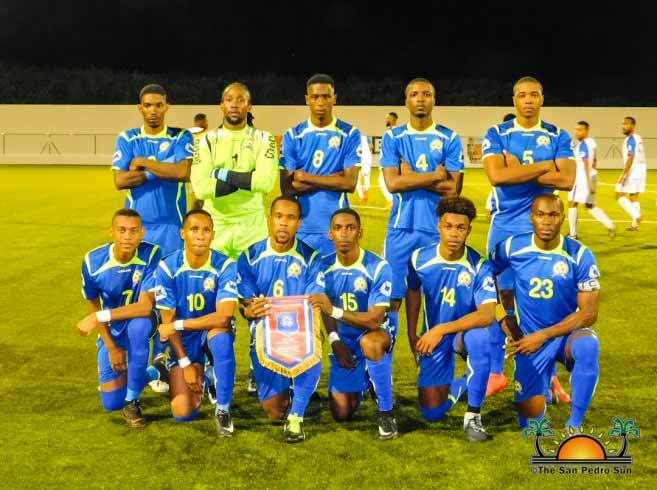 Among the players selected to represent Belize are San Pedro’s Jesse Smith, Mario Chimal and Asrel Sutherland. A meeting was held to discuss a strategic and safety plan for the international football match on Wednesday, July 18th at the San Pedro Town Council conference room. Present at the meeting was the Vice President of Football Federation of Belize (FFB) Marlon Kuylen, San Pedro Town Sports Coordinator Kent Gabourel, Officer in Charge of the Coastal Executive Unit Superintendent Reymundo Reyes, Councilor Hector “Tito” Alamilla, Dr. Otto Rodriguez San Pedro Polyclinic II administrator Eric Najarro, and members of the traffic and fire department. The game is scheduled to start at 7PM at the Ambergris Stadium. Regular tickets are $30, while VIP seats are for $100. They can be purchased at the San Pedro Town Hall, Smart showrooms, the FFB office in Belmopan City and at the Marion Jones Stadium. All football enthusiasists are invited to attend the match and support the home team. The National Football Team of Barbados arriving on La Isla Bonita for their game on Saturday, August 4th, against Belize's A Team, the Jaguars! Game starts at 7PM at the Ambergris Stadium. Save the date, this is a game you don't want to miss! 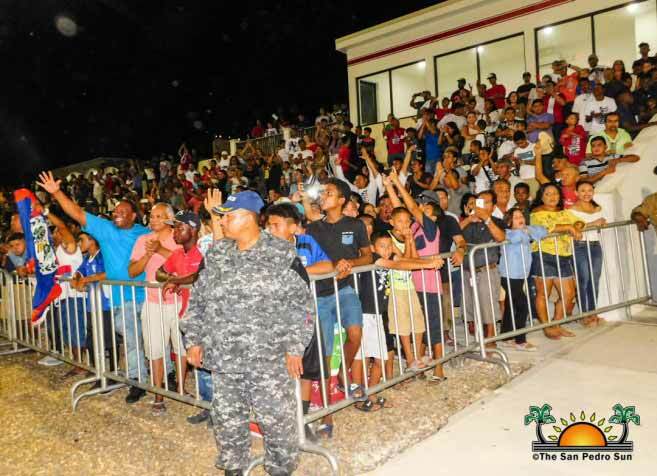 Hundreds of football fanatics gathered at the Ambergris Stadium in San Pedro Town on Saturday, August 4th to witness Belize’s Jaguars victory over the Barbados Tridents in a friendly match. With the match drawing to an end, fans loudly demanding a score. And at minute 74, Belize’s Krisean Lopez delivered, nailing the first goal for his team. Down by one, Barbados tried their best to even score but Jaguar’s goalkeeper managed to block them all. When the final whistle blew, Belize claimed the 1-0 victory. Krisean Lopez told The San Pedro Sun that his goal was unexpected but he was thrilled. “I’m more than happy to be the scorer of the game and be able to bring the victory to my team,” he said.